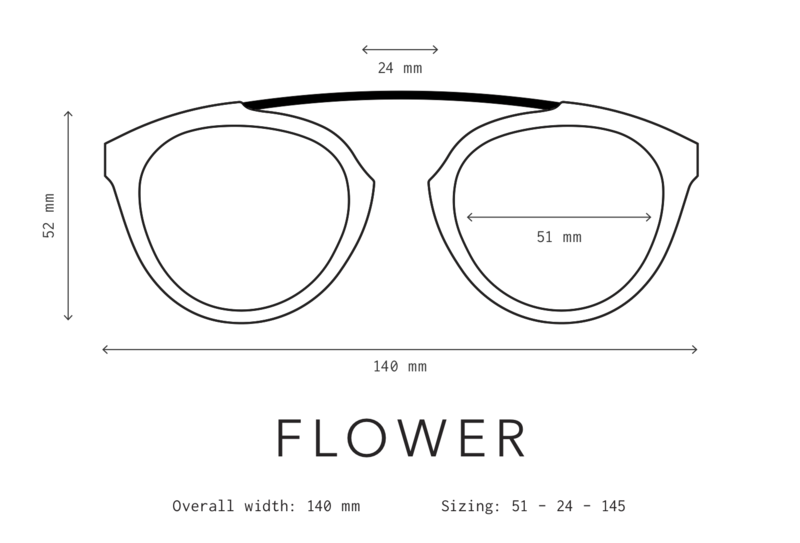 Shark Attack: Flower 21 features limited edition shark attack acetate. Beautiful polished layered acetate features a blue outside and white inside combined with black metal for a striking look. Silver mirrored lenses and black matte metal inlays at the temple complete this fun frame.